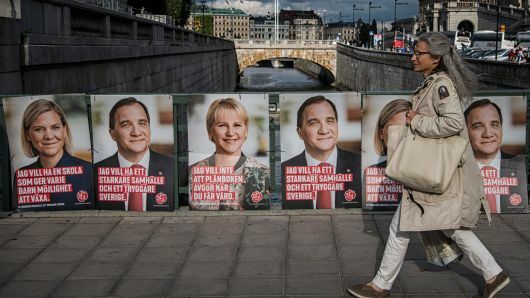 All eyes are on the general election taking place in Sweden this weekend as the wave of populism sweeping the EU threatens to break over the country long seen as THE example of progressive culture. ‘Visitors to Sweden in 2018 will still see young dads on paternity leave pushing prams, and helmeted cyclists biking through clean, tranquil and picturesque cities,’ writes France 24 (03.09.18). 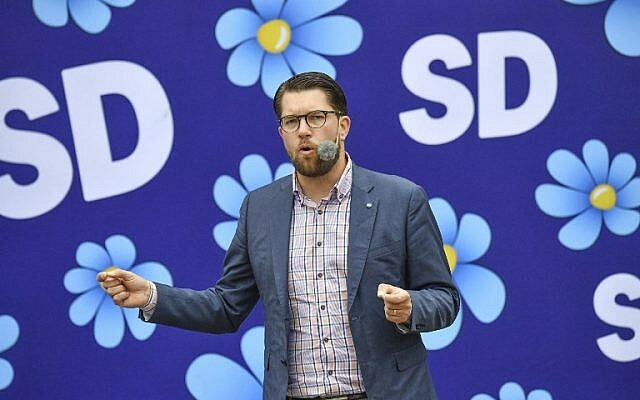 A country lauded as a pioneer in equality, environmentalism and women and childrens rights is not the place you expect to see a far-right party, such as the Sweden Democrats (SD), with roots in the neo-Nazi movement gain momentum. What is the current political situation? A Social Democrat-Green coalition government led by Stefan Löfven has been in power since 2014. Long seen to be ‘one of the most impressive election machines in the western world, coming first in every election since 1917,’ (FT 31.08.18) the party’s popularity is declining with its support nearly halved over the last 25 years. The Guardian writes that ‘current opinion polling suggests his (Löfven’s) centre-left party may remain Sweden’s largest, as it has for more than a century. But it, the main centre-right Moderate party and their respective blocs face a stiff challenge from the rightwing populists of the Sweden Democrats, who could well end up holding the balance of power,’ (03.09.18). After the populist-far-right coalition of Movimento 5 Stelle and Lega parties was elected in Italy in March, the possibility of another far-right party gaining traction in Sweden is worrying. Although recent polls have showed the Sweden Democrats dropping points in the last few days putting them behind the Social Democrats. The party is involved alongside three centre-right parties in the ‘Alliance’ – the Centre Party, Liberals and Christian Democrats. 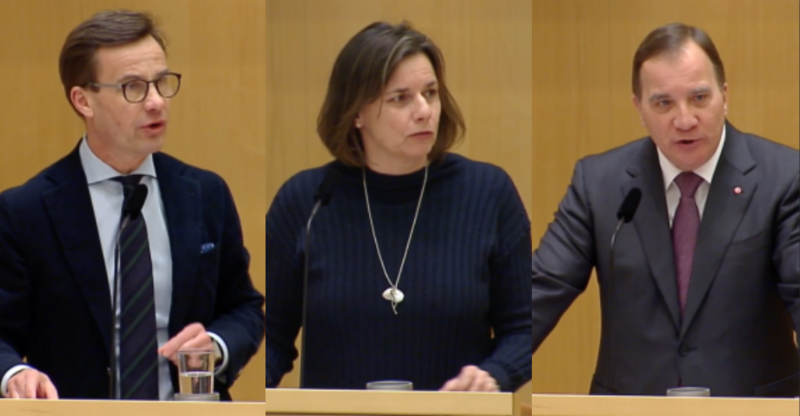 The other Riksdag parties have repeatedly stated that they will not cooperate with the Sweden Democrats in a future government. Green Party (MP) – Leaders: Gustav Fridolin, Isabella Lövin – No. of seats: 25 seats. The Green Party is the minor component of the Löfven Cabinet, alongside the Social Democrats. The Social Democrats wanted to form a coalition with the party, but they traditionally lean towards the Moderate policy positions and stayed within the Alliance after the 2014 election. Previously known as the Communist Party of Sweden. The party focuses on gender equality, the school system and quality education. According to opinion polls there is a significant risk that the Christian Democrats will fail to achieve representation in the next Riksdag. 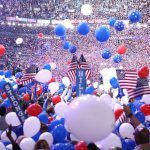 The party held on by a few tens of thousands of votes last time. The parliamentary presence of the Christian Democrats is seen as essential in order for the Alliance to be able to form a government. Ulf Kristersson (M), Isabella Lövin (MP) and Stefan Löfven (S). 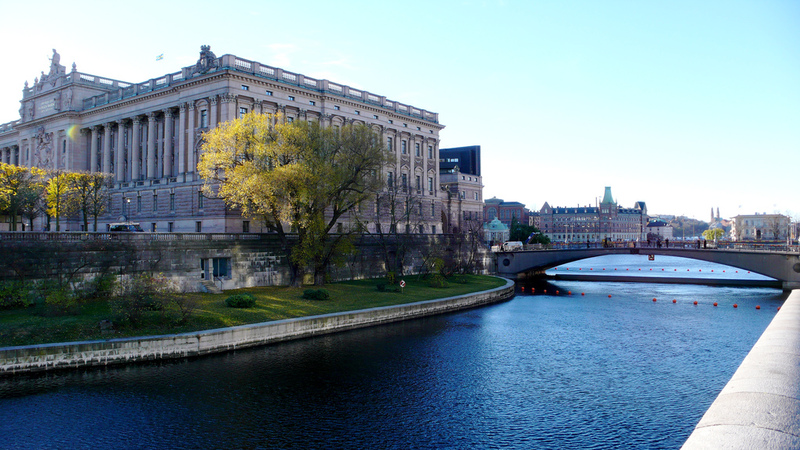 The Swedish Riksdag is made up of 349 MPs, and all are elected through proportional representation on multi-member party lists that are either regional (most major parties) or national (Sweden Democrats). Each of the 29 constituencies has a set number of parliamentarians that is divided through constituency results to ensure regional representation. The other MPs are then elected through a proportional balancing, to ensure that the numbers of elected MPs for the various parties accurately represent the votes of the electorate. The Swedish constitution (Regeringsformen) 1 Ch. 4 § says that the Riksdag is responsible for taxation and making laws, and 1 Ch. 6 § says that the government is held responsible to the Riksdag. This means that Sweden has parliamentarism in a constitutional monarchy—ensuring that the government is appointed by the people’s representatives; the Prime Minister is therefore indirectly elected. A minimum of 4% of the national vote is required for a party to enter the Riksdag, alternatively 12% or more within a constituency. Since 2012, Sweden – a country with a population of 10 million – has welcomed 400’000 asylum seekers. This has fueled far-right rhetoric that the country’s famously generous welfare system is being taken advantage of. Stockholm University sociology professor Jens Rydgren says that average wage-earners, pensioners and first-time voters, who would have previously voted Social Democrat, now see asylum seekers “as an economic and cultural threat”. Swedes are ‘frustrated over their universal healthcare, one of the main pillars of their cherished welfare state, with long waiting queues due to a shortage of nurses and available doctors in some areas,’ (The Local, 02.09.18). Swedish law stipulates patients should wait no more than 90 days to undergo surgery or see a specialist. Yet every third patient waits longer, according to government figures. Official data shows that 80 percent of the healthcare sector is in need of nurses and online services, where patients see a doctor via webcam, are growing increasingly popular. 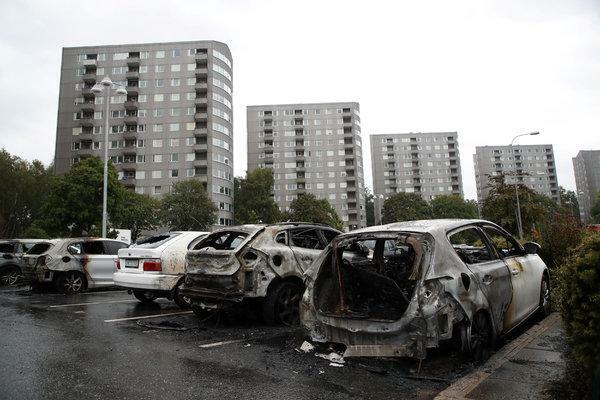 Frequent shootings, grenade attacks and arson attacks on cars in suburbs with a heavy immigrant population in Stockholm, Malmo and Gothenburg have pushed immigration further up the political agenda. ‘In August, about 100 cars were set on fire in Gothenburg and neighbouring cities by masked gangs of youths using Molotov cocktails,’ (FT, 20.08.18). Will Sweden be able to form a government? ‘Traditionally in Sweden after the election, the outgoing speaker of parliament consults with party leaders to nominate a candidate for prime minister tasked with forming a government. Parliament votes on the speaker’s choice, and can reject his proposal four times, after which new elections must be called. Sweden has not held a snap election since 1958,’ (The Local, 04.09.18). The most likely scenario is a new Löfven government, albeit with a weakened majority. The outgoing red-green bloc (Social Democrats and the Greens) with informal support from the Left Party is currently leading in the polls ahead of the centre-right Alliance. Whatever government emerges will need backing from either the opposition, or the far-right populists, to function. If Löfven were to stay in power he would likely try to rally the support of two Alliance members, the Centre Party and the Liberals, to pass legislation, finding common ground on issues like immigration, integration and gender equality. The far-right Sweden Democrats however have vowed to topple a minority left-wing government, for example during the vote on the autumn budget bill. The conservative Moderates Party leader Ulf Kristersson is intent on ousting Löfven. Despite some ideological differences, notably on immigration, the four centre-right Alliance parties have agreed to build a coalition government. However, the Alliance would need the support of the far-right to pass legislation, and the far-right would make demands in exchange for its backing. Many analysts believe that Kristersson could become the next prime minister, even at the head of a minority government, if the anti-immigration party votes down Löfven. If the two previous scenarios were to fail, the Social Democrats could invite the Liberal and Centre parties to the negotiating table. They would have to overcome major differences though, in particular on the budget. Such a collaboration would signal the end of the centre-right Alliance. Some analysts have not ruled out the possibility that SD could end up being the biggest party. However, SD would find itself isolated, unable to build a government or majority in parliament. Jimmie Åkesson doesn’t believe this will happen instead looking for a collaboration with the Moderates in such a case. The number of Twitter accounts discussing Swedish politics showing “automated behavior” more than doubled this month, a study of 600,000 tweets during March to August from 45,000 accounts showed. During the entire period almost 17 percent of the content came from suspected bots, before many were suspended by Twitter. According to a report compiled by the Swedish Defence Research Agency (known as FOI), the suspected bots were 40 percent more likely to express support for the anti-immigration Sweden Democrats than the genuine accounts. The ruling Social Democrats, poised to post their worst result in a century, were the most heavily criticized in the tweets from the automated accounts. “Hopefully this study will contribute to a greater awareness of the potential effect bots have so that more citizens can make decisions without being influenced by them,” Johan Fernquist, the leader of the study said in a statement. The FOI report hasn’t done any analysis on who might be behind the bots. 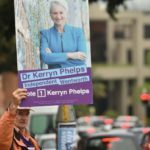 Will the country described by political scientist Lars Tragardh as a ‘moral superpower’ be able to fend off the far-right this election?